THE OUTLIERS — ART AGENDA, S.E.A. In the history of post-war modern abstraction in Asia, Chin Sung and Nashar are two iconoclasts who forged trailblazing pathways in their respective journeys towards abstract art. Though not bound by personal familiarity or direct correspondence, the lives and artworks of Chin Sung and Nashar were nevertheless very similar. Their works relayed an internationalist perspective, freed from the cultural parochialism that blinkered many fellow artists of their times in Taiwan and Indonesia respectively. 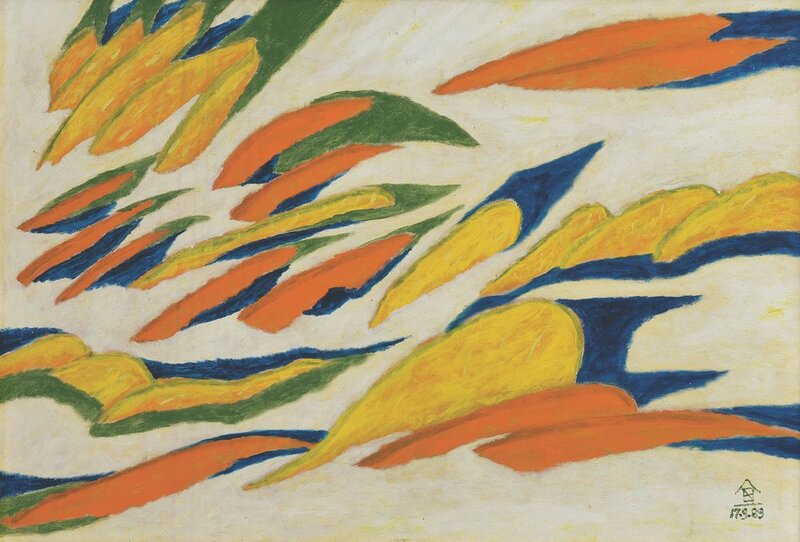 Artist and poet Chin Sung synthesised the aesthetic dimension of Chinese art and calligraphy with the tenets of modern abstraction gleaned from the west. Best known for having developed a symbolist language of abstraction predicated upon the universal meanings of circles and crosses, Chin Sung went on to establish the Modern Prints Association in Taiwan. He was also a member of the Ton Fan Group before political expediency forced him to migrate to the United States in 1969, two decades after he had arrived in Taiwan with the Kuomintang government. Artist and writer Nashar worked purely in abstraction in the later half of his life, and was best known for the intutive approach to painting he espoused that separated him from the his peers. 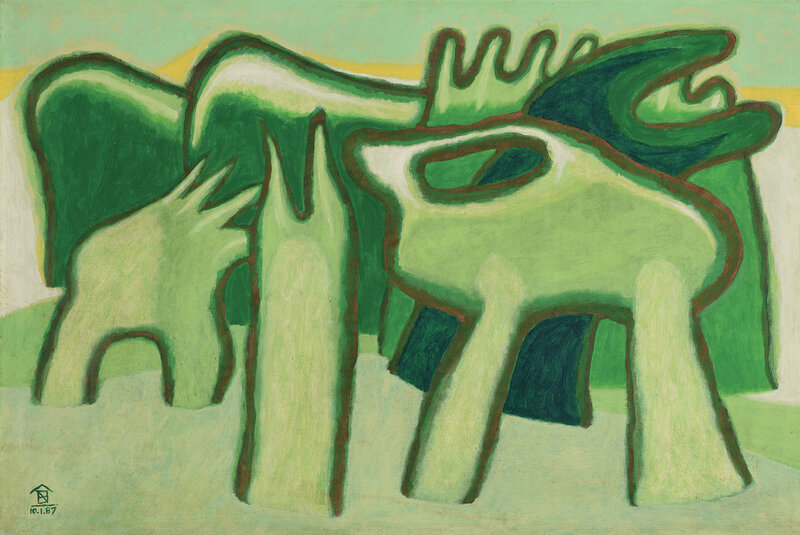 Impoverished for the most part of his life, Nashar had in his earlier days joined the revolutionary efforts for Indonesian independence but later turned to a distinct individualistic path in his artistic career. His theory of intutive painting rooted in abstraction influenced his bethren of artists, and stood out against contending artistic discourses. It was the best of times, it was the worst of times, it was a time of Indonesian national struggle, it was a time of painful exile for the Kuomintang government, and it was in such contexts that the singular and iconoclastic artistic attitudes of both artists emerged. In the multiple accents that the language of abstraction offered, the two outliers found their natural voices.